I’d call this a bit of good news, potentially. Warner still considers Cohen a “principal” in the investigation, and the “next wave” of Senate interviews will reflect information from documents received at the end of 2017. We still don’t know who’ll be called in for a chat. Is he saying that Nunes is behind in documents with the memo, or that they have the same documents? I don’t quite understand his quote in re to Nunes’ memo. It almost seems to give gravitas, or assigns dignity to the memo. These are just kind of in effect, the next wave. Because there are—let me say this the right way. It appears that Mr. Nunes’ claims may be related to some of the documents that were received late last year. Now, obviously, we would have received the same documents so the fact that some of the end-of-the-year document dumps were very significant. Former NatSec prosecutor advocates for full disclosure to make sure FISA wasn’t abused. Adding it to my file. Marcy, as an aside, he was an attorney under Giuliani. So…with his swift pen, he also inadvertently calls for release of the Dem memo? (Which Trump wouldn’t allow to be released due to national security issues). Have Grassley and Graham read the classified supporting documents for the FISA? Obviously, before Steele, Carter Page was on the FBI’s radar. Are Graham and Grassley asserting that the dossier was the only evidence put forth in the FISA request? If they read supporting documents, they would know. …..oh, wait, it is Andy. Nevermind. I’ll bet the COSs for Senators Grassley and Graham have security clearances. I wonder if Orrin Hatch’s does now, too. So what do you think @earl, that the dossier was the ONLY evidence given by the FBI? Or are they (G&G) picking nits around other evidence? Couple of things. Just because you have clearance does NOT mean you get access to FISA Warrant apps and or FISC materials. As to Trip’s question, there is literally zero chance in hell that “the dossier” is the “ONLY” information within the four corners of the affidavit. Simply none. In fact, it is almost certain that whatever “dossier” references are there could be blue lined and/or removed and there would still be more than sufficient info for the court to issue a warrant as to Page. The chatter on this to the contrary just cracks me up. Honestly, arguments to the contrary are made by people that don’t even understand how Title III warrants are submitted and evaluated, much less FISA Title I warrants. I didn’t think so. I’m simply asking questions after reading McCarthy’s sort of hysterical (not in the funny-sense) piece about the G&G memo. I realize his perspective is highly partisan, but I figured I could humor it, or contemplate it. Naw, it was a great question. But Andy gonna be Andy. Exactly. My dig was obviously directed at Rob Porter and the dozens of other WH staffers bumbling along on interim clearances, including Jared and Ivanka, and the probability that Porter’s problems have been known for longer by more people than is now claimed. Orrin, I’m speaking to you. As for FISA apps, I would expect one has to show a “need to know” as well as to have the correct level of security clearance. I agree that the Steele memo probably played a small, if any, part in the FISA apps regarding Page. Even if it played a part, the bits used would have been independently verified. The Memo hoopla is pure Republican political theater. There was McCabe’s reported testimony on the hill that without the dossier they never would have gone after a FISA warrant. Doesn’t go to what was in the application, but a step back to how they got there. Be nice to see what McCabe actually said rather than Nunes’ retelling of it. The DNC is about to be eaten alive. 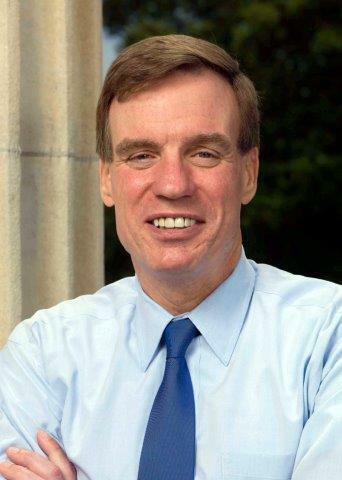 Warner had better talk now if he has something because the DNC may not be here next month! Really? And what do you base that on? I think texting is going to be key evidence in all of this. I started thinking this last spring when Politico ran several interesting articles talking about Kushner’s texting habits. One interesting thing is that not long after that, Kushner’s lawyer announced the existence of a private *email* account that he was disclosing out of the interests of transparency, and how he had definitely, positively not emailed anything sensitive and his emails were just fine. Another interesting question is who leaked to Politico? My guess is Bannon, although it could always be a number of subjects — Priebus was supposedly frustrated by Kushner’s slippery ways too. Messaging is a stupid way for arrogant people to try to communicate secretly, of course. Private email servers can be locked down and contents can be purged by people you know and trust before you’re being investigated, and your side will know about any records-related requests by the FBI or other authorities once they are on your trail. That’s been gone over in huge detail with Clinton (although I think it’s pretty clear she didn’t have anything massively wrong in her system — there are too many ways to track these things). Messaging, however, leaves a lot that the authorities can get from your carrier without your knowledge. And while I think people are pretty aware at this point that email is not a secure way to communicate, people still don’t get that with messaging. It’s astonishing how unguarded professionals can be in their messages in ways that they would never be in email — see the FBI couple as a good example. That’s not to say we’ll see evidence of some huge conspiracy from captured text messages (we can always hope). But I can definitely see at a minimum some lower level stuff getting revealed along the lines of the legal payments the Nixon White House was arranging for the Watergate burglars. I could easily see texts from Trump Jr. saying he was arranging for $10,000 to go to Twitter bots, Kushner messaging that he wanted Cambridge Analytica to send a data set to Russian contacts, that kind of thing. And I can bet that the guilty parties won’t know the FBI has their messaging until they’re being questioned and they have already been untruthful. Jared, Cambridge Analytica, Guccifer, would use Signal right? Jared is running the middle east and upgrading all technology in American govt (so that he can do meaningful work on a chairlift in Vail); CA does data analysis, and Guccifer is a sophisticated troll. If these supreme technocrats were AT and T texting I am totally giddy. Now I really want to know once and for all if Signal, PGP and VPN’s are surveillance proof. Signal is your best option at this point for what it does. There are still issues though. It uses TLS to communicate with the servers, so there are possible metadata issues. Real-time traffic analysis may reveal the two users contacting each other even if the content is encrypted. PGP/GPG has key reuse issues, and it not trivial to use. In order to be safe you have to gen new keys periodically and somehow let others know that you have changed keys. An email that is PGP/GPG encrypted and/or signed, or both, can stand out to a state attacker, so it can bring unwanted attention. If you have to use it, use as little as possible. VPN should only be used for work when away from office. Use it minimally. A VPN can help in some circumstances for a bit of privacy, but I would not rely on it. Note that the three do not cover all use-case scenarios. Ex: You want to send a 100MB file to someone. Securely. To someone that you have never met in person and does not work for the same org as you (if they did, you both could use the same corp VPN). Consider the hoops to jump thru. Yes, it is possible, but not relying on only the above three tools. At some point, you will have to use another software tool, and worry about data or metadata leakage.